Dr. Marc Sachon is Professor of Operations Management at IESE Business School, University of Navarra. He holds a Ph.D. in Industrial Engineering and Engineering Management of Stanford University, USA, a MBA of IESE Business School, Spain, and a Master in Aerospace Engineering of the University of Stuttgart, Germany. 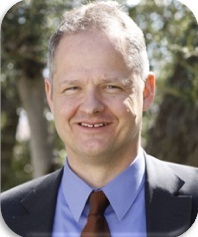 He predominantly teaches in IESE’s executive programs – both open enrollment and customized programs. He is the academic director of IESE’s flagship AMP Munich program and the Chairman of IESE AUTO, an annual industry meeting which will be in its 28th edition in November 2013. He is the academic director of several custom programs (automotive and pharmaceutical sectors) and open programs at IESE (Retail Operations, Operational Excellence, Driving Change Successfully). Dr. Sachon has published in academic journals, contributed to several books and has written several internationally best-selling case studies. He has won multiple teaching awards and has consulted for companies in Europe and North America.